A Clockwork Orange is as brilliant, transgressive, and influential as when it was published fifty years ago. A nightmare vision of the future told in its own fantastically inventive lexicon, it has since become a classic of modern literature and the basis for Stanley Kubrick s once-banned film, whose recent reissue has brought this revolutionary tale on modern civilization to an even wider audience. 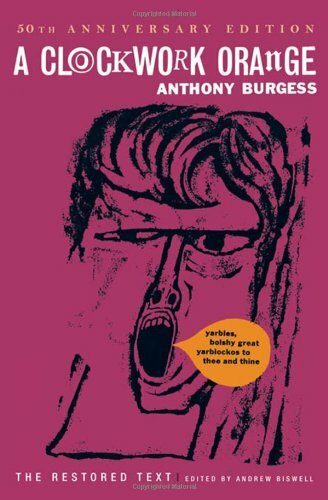 Andrew Biswell, PhD, director of the International Burgess Foundation, has taken a close look at the three varying published editions alongside the original typescript to recreate the novel as Anthony Burgess envisioned it. We publish this landmark edition with its original British cover and six of Burgess s own illustrations."